I haven’t personally used any products by Sleek MakeUP, but Tina of TheFancyFace beauty blog has tried several & given them great reviews. 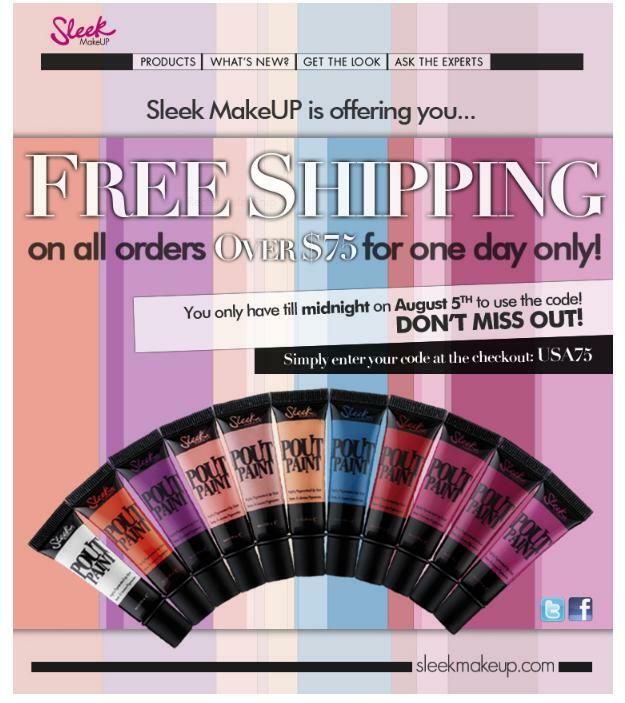 SleekMakeUP is headquartered in London, so the shipping fees can be pricey, which makes this sale the perfect opportunity to give their products a try. ENJOY! ← Are You Hooked on Discount Hair Products?